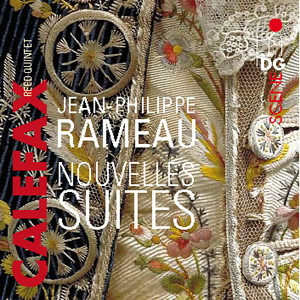 Jean-Philippe Rameau: Nouvelles Suites | Calefax Reed Quintet | Dispeker Artists, Inc.
Calefax has always been throughly dedicated to J.S. Bach, but upon discovering Rameau’s harpsichord compositions they felt these were a necessary addition to their Baroque repertoire. This CD is dedicated entirely to music by Rameau, containing 3 of his suites and La Poule, perhaps one of his best-known harpsichord works.